The figures behind the famous turned infamous Italian household name, Dolce & Gabbana, have made headlines once again. This time with an incredibly racist ad and a number of instagram direct messages of the brand's Stefano Gabbana insulting the country of China. Gabbana is no stranger to controversy; he has made it his mission to have his name on every tongue. Earlier this year in June, he body shamed singer and actress Selena Gomez. He commented on an Instagram post she was featured in saying “E’ proprio brutta!! !” which translates to "She's really ugly!!!" Many were furious at his childish behavior but just as it was starting to die down, the brand came out with an extremely racist commercial. The commercial was posted on the Chinese micro blogging website, Weibo, and later on the brand's Instagram page. 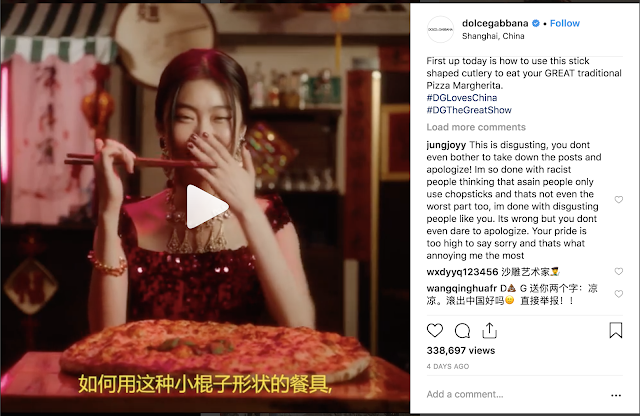 The commercial featured a Chinese model attempting to eat pizza using chopsticks. It is still a mystery how an ad as such as this managed to not strike any red flags upon any of the marketing employees who worked on it. 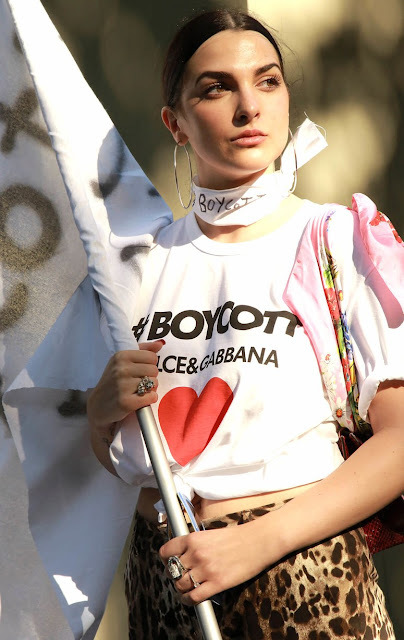 Then Gabbana proceeded to add fuel to the fire by saying several degrading things about China in the name of defending his brand's commercial, upon the most striking is "China Ignorant Dirty Smelling Mafia." His offensive statements were through Instagram direct messages, exposed through screenshots. 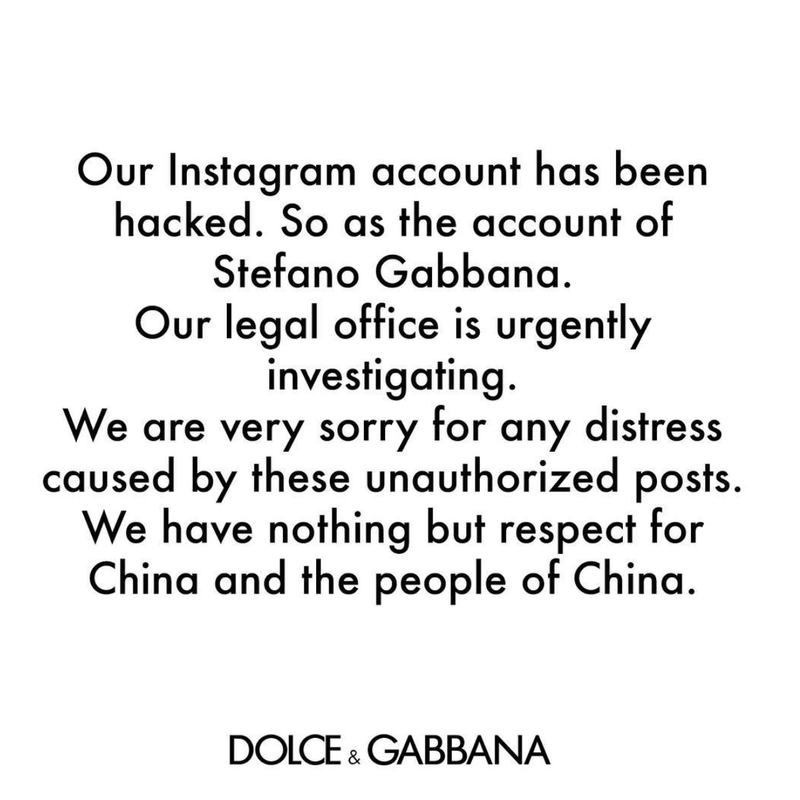 The brand's damage control team came quick to the rescue with an Instagram post saying that the designer's account has been hacked. 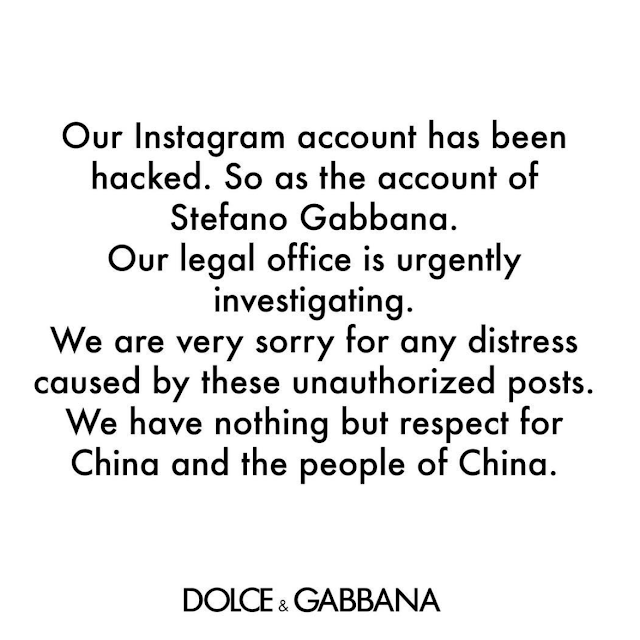 This apology seems much like a publicity stunt to restore whatever respect the brand has since this is far from the first time Gabbana throws offensive phrases. Dolce and Gabbana were set for a runway show in Shanghai on November 21, the night of the events unfolding. Chinese agencies pulled their models from the show and celebrities who were set to grace the front row cancelled. And therefore the show didn't end up happening. The Italian brand hasn't been doing very well. The designs have been repetitive and the designers have been showcasing the same concept for so many seasons. So could this be the final straw that causes people to finally cut all ties with the brand and its offensive, disrespectful designer.